Vladimir Putin is responsible for the Malaysia Airlines Flight 17 disaster: The SA-11 radar-guided surface-to-air missile must be Russian. 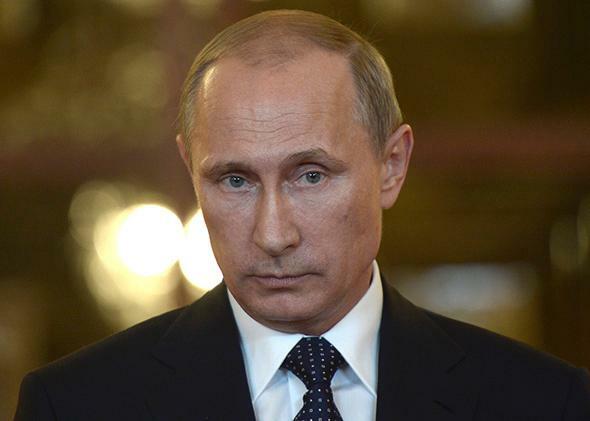 Vladimir Putin is responsible for shooting down Malaysia Airlines Flight 17. His next move will matter most of all. Putin’s a shrewd tactician, who’s prone to wager too much while bluffing. This time the bluff’s being called, but will he fold or double down? Apart from its tragic horror, the shoot-down of Malaysia Airlines Flight 17 has two strategic consequences. First, it reveals that the Russian military—and, therefore, President Vladimir Putin—is deeply involved in the separatists’ fight against the Ukrainian government. Second, it transforms that fight from a confined civil war to a clash affecting the whole continent; Europeans can no longer so easily ignore it or avoid holding Russia accountable. The proof of Russian involvement lies in the weapon used to down the plane. The SA-11 radar-guided surface-to-air missile is not like the shoulder-mounted rockets that many rebels use to fire against low-flying aircraft worldwide. Rather, it’s a complex system that requires three vehicles and about a dozen personnel, most of them specially trained as a team. The system’s warning-radar detects an incoming plane; calculates its speed, range, and altitude; and passes that information to the missile battery’s “acquisition radar,” which tracks the plane. When the plane is within ideal range, the missile is fired. Then, the “target-tracking radar” guides the missile to the target. Since the conflict with separatists in eastern Ukraine started just this past spring, this raises the question: Are the people who shot down the Malaysian airliner pro-Russian separatists—or are they Russian air-defense officers who trekked across the border to assist their ethnic brethren? Either way, it’s not the case that Putin simply encouraged the rebels to fight and supplied them with missiles, making him indirectly responsible for the shoot-down; it’s that his officers are directly responsible, either by training the separatist shooters or by being the shooters themselves. That doesn’t mean, as some are wailing, that Putin or the shooter is a “mass murderer” or a “war criminal.” Nobody believes that the crew manning the SA-11 in eastern Ukraine meant to shoot down the Boeing 777. Whether because of human error, mechanical error, or the “fog of war” in its manifold layers, these things happen when civilians wander into (or over) a battlefield, usually through no fault of their own. However, precisely because of this risk, Putin bears the blame for the disaster, in that he created the setting that made it possible. He contrived the separatist rebellion, and he converted eastern Ukraine into the sort of battlefield where these things happen. That would be the case, even if his men didn’t then directly cause the shoot-down to happen. In other words, from a policy angle, the significance of the downed aircraft is that it reveals Russia as not merely a supplier but a combatant on the side of the separatists—and thus in violation of Ukrainian sovereignty. To the extent that some European countries have hesitated to hold Russia accountable, through sanctions or assistance to Ukraine or other measures, this episode should rally them to boldness. Of course, just because they should doesn’t mean that they will—though perhaps they’ll be moved more than usual by the fact that 70 percent of the passengers killed onboard were Europeans (193 Dutch, 10 British, 4 German, and 4 Belgian). Speaking before reporters and TV cameras this morning, President Obama denounced Russia for its role in the fighting but also offered Putin a diplomatic off ramp. “Russia has extraordinary influence over the separatists,” Obama said. Putin should, therefore, compel them to stop resisting the international inspectors at the crash site and, more broadly, to halt the fighting. A diplomatic solution “can still happen,” he added. But if Russia maintains its preset course, it will face further isolation. Western European nations, especially Germany and France, are heavily dependent on Russia for gas and oil. But the Russian gas and oil industry—the mainstay of the country’s economy—is heavily dependent on Western investment. And Western investors, whose eagerness has cooled since Putin’s Crimea annexation, are likely to scramble toward the exits in the aftermath of the Malaysia Airlines shoot-down, even if formal sanctions remain less than crippling. This episode does not mark a return to the Cold War, and in some ways, that’s to Moscow’s disadvantage. The Cold War was a global clash of systems: the communist East vs. the capitalist West. In the most deep-freeze moments of the Cold War—for instance, in 1983, after a Soviet air-defense fighter shot down Korean Air Lines Flight 7 and the United States responded with a near cessation of diplomatic contact—Moscow still had its empire and its centrally controlled economy; what the rest of the world did was much less significant. Now Russia has no empire—no Soviet Union, no Warsaw Pact, no Comintern—and its economy is intertwined with global markets. In short, in this conflict, Moscow has no sources of sanctuary, economic or otherwise, and a great deal to lose. Contrary to the image that he’s cleverly managed to convey, Putin is far from a master grand strategist; his many missteps during the Ukraine crisis demonstrate as much. But he’s not an idiot either. He seems to be a shrewd tactician, a clever calculator, who’s prone to wager too much while bluffing. This time the bluff’s being called. The question is whether he takes Obama’s offer to fold—or whether he doubles down and comes out blazing.